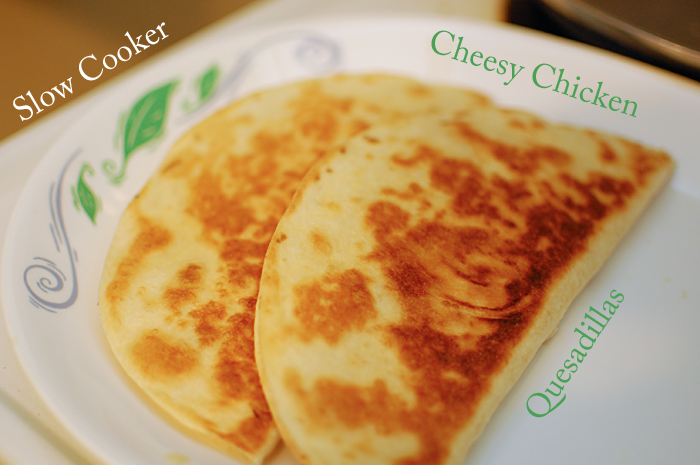 Stupid Simple Chicken Quesadillas - Nekaro & Co.
Another Pinterest find. I would not know how to cook without Pinterest. We'd all be eating the same meals over and over. I do love a physical cookbook though. 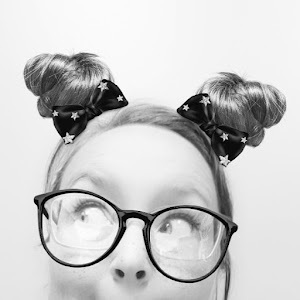 The original recipe can be found over at Six Sisters' Stuff right here. This recipe really is stupid simple to make. You need just a handful of ingredients to get started. -- Spray your slow cooker with non-stick spray or, if like me you don't have any, smear some Crisco on the bottom and around the sides. 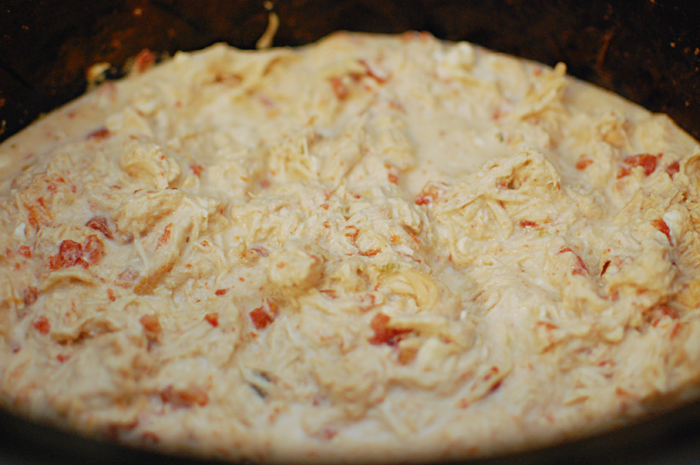 -- Put the chicken in, add the undrained can of Rotel, and then cream cheese. I chose to slice up my cream cheese. Put the lid on and set your slow cooker to low for 6-8 hours. Do not be alarmed if you come back in a few hours and your cream cheese still looks exactly the same. 'Cause it will, but it's ok. The next step will fix that. 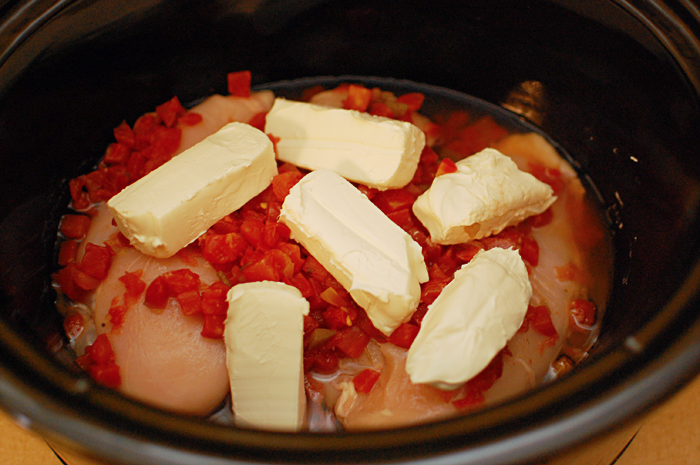 -- Once the chicken is done, shred it and put it back in the slow cooker. Mix all those ingredients together and let sit for a bit so the chicken will absorb some of the juices. It's still going to be a little watery so use a slotted spoon to put chicken in tortillas. 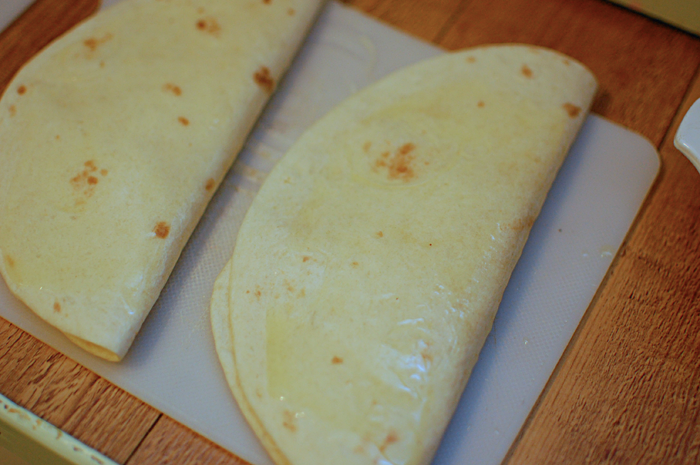 -- Take tortillas and spread cheese on them. 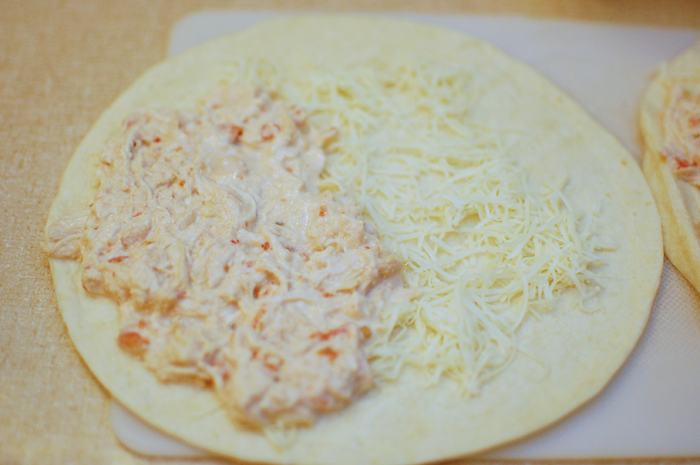 -- Put a spoonful or two of the chicken mix on one side of the tortilla. At this point, you can add any little do-dads you would like. We ate ours "original" for this first attempt, but my husband and I both agreed that next time we will definitely add some jalapenos or banana peppers. -- Fold tortilla in half and brush with butter before placing in a pre-heated skillet. 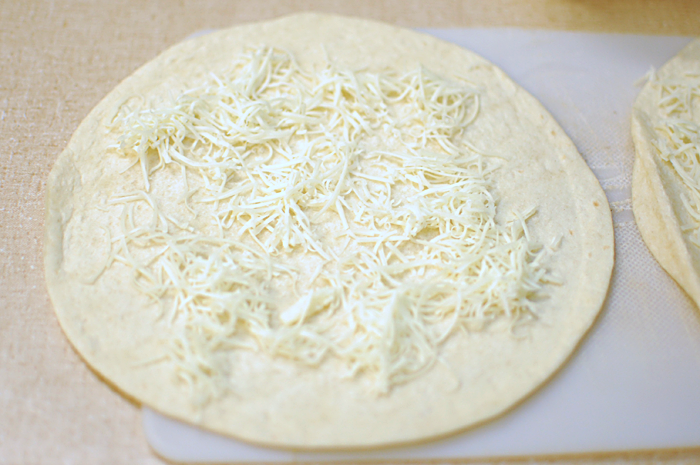 -- Cook for a few minutes on both sides until the cheese is melted and TADA! All done. Wait a few minutes for them to cool then cut them in half and serve with salsa, sour cream, or whatever your heart desires! I love that this one cooks in the slow cooker! Bonus points!! The slow cooker should have it's own religion. There are some weeks where I use mine multiple times.